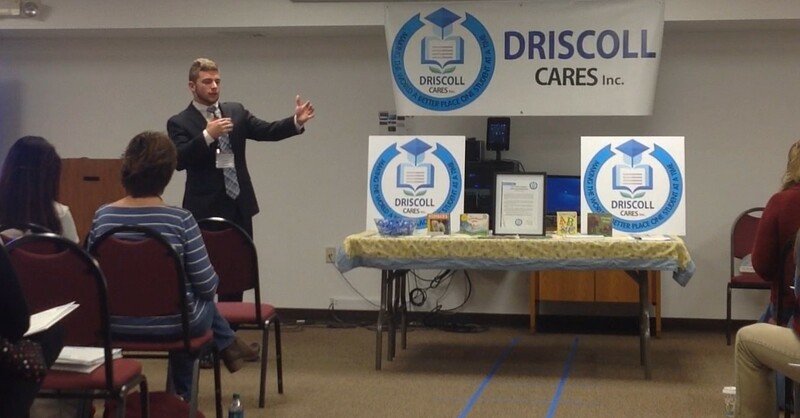 Logan Driscoll represented Driscoll Cares as a presentor and exhibitor at the CAS Student Activity Expo. 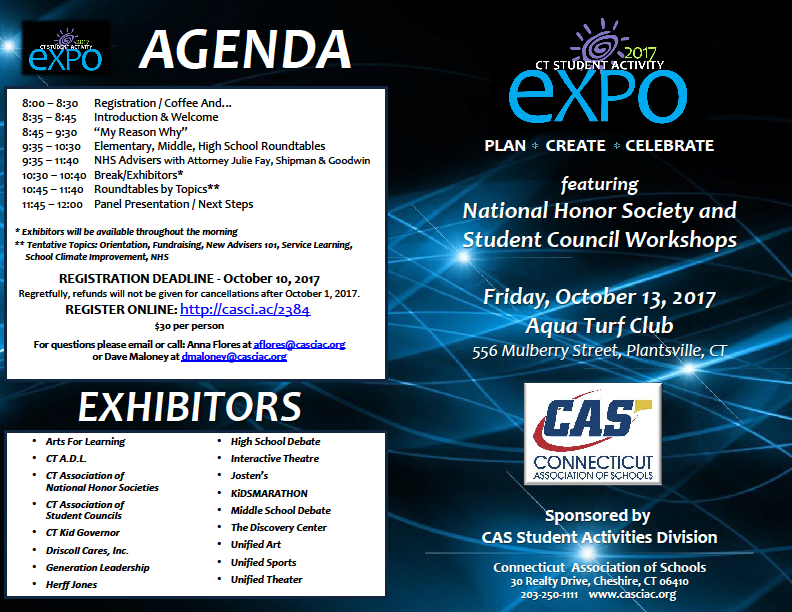 The Connecticut Association of Schools (CAS) Division of Student Activities presents this conference for advisers that will put a spotlight on a variety of student activity programs at all levels that epitomize exemplary civic awareness, cooperation, and boundless potential for school community impact. The Student Activity EXPO will feature both innovative and high impact programs nominated by school principals across the state as well as ‘Exhibitors’ who offer Connecticut’s schools additional learning and enrichment services. Driscoll Cares is honored to be invited to the EXPO as an exhibitor where its President and Founder Logan Driscoll will address his fellow students.